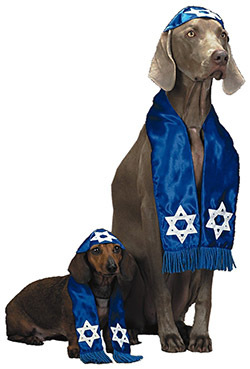 “Perfect for your Jewish dog,” states the manufacturer. This Dog-Pope outfit is probably also equally perfect for your Catholic dog, if that’s how you look at religion, and dogs, and dog clothing. The look on the face of this third dog, forced to wear a tiny sombrero, sums up my reluctance to say anything further on the topic.